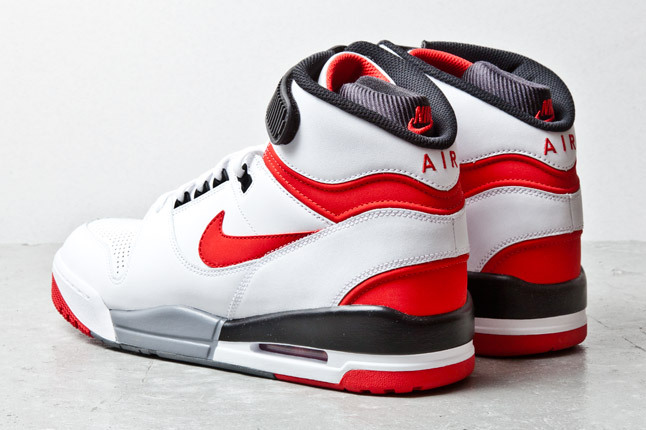 It looks like another OG colorway of the Nike Air Revolution is on the way back. You saw a preview of the original Game Royal colorway last week, and now it looks like the red-accented Nike Air Revolution is on the way back, as well. 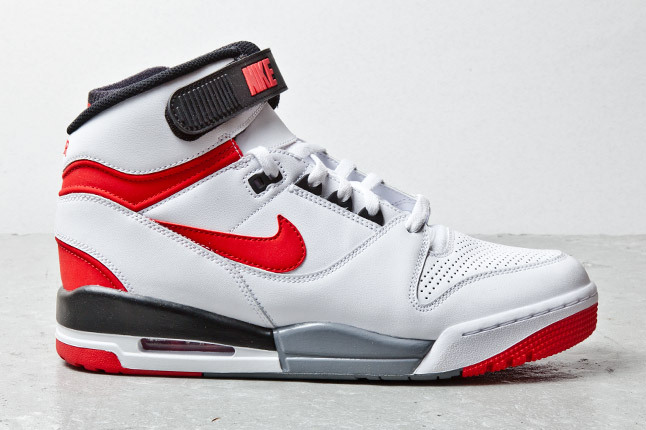 This iconic sneaker from 1987 was the first basketball shoe to utilize visible Air and featured an ultra-high top with a Velcro strap to lock you in. 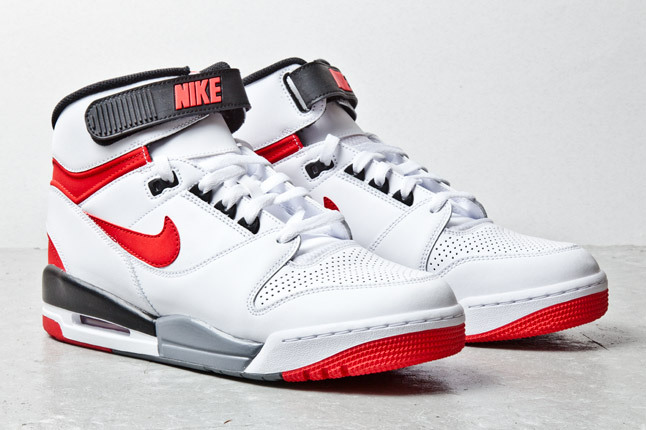 Nike Sportswear is doing it the justice it deserves with a true-to-OG remake, seen here in the white-based with red and black accented colorway that could be found on the court in the late 80's. 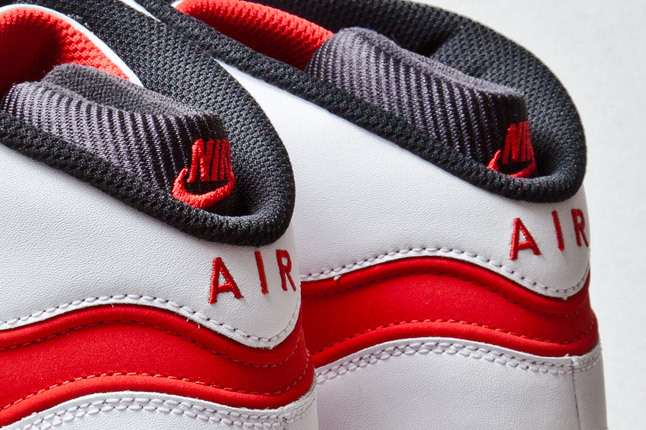 There is no word yet on an official release date, but stay tuned to Sole Collector for further details.